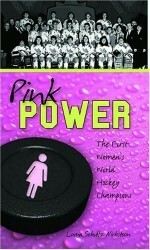 At the first-ever women’s hockey world championships in 1990, Canada dressed its National Women’s Team in pink. Offending many, the controversial decision nevertheless drew media and public attention to the series and subsequently registration in girls’ hockey went up 40%. Lorna Schultz Nicholson offers an insider’s look at the power behind the pink jerseys.